The Table Mats Set for Systemic Constellation, Therapy, Coaching and Play. – the Systemic Table-Top Tool for Therapy, Coaching and Play. These archetypal forms reach deep into the human psyche, with the potential to represent all its aspects. The two different sizes can represent proportions, according to the client’s perception. The 12 specially selected colours enable clients to express a full spectrum of emotions and qualities. 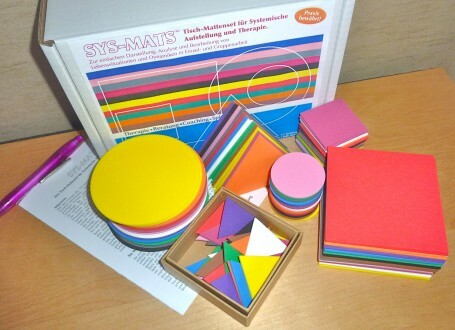 Contents of the SYS-MATS™ Set: 144 Shapes + Instructions; all in a sturdy cardboard box for easy storage. 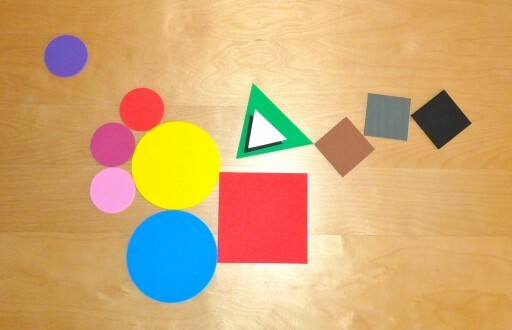 The SYS-MATS can be used to represent any situation… here an example.